Baby teething is a very exciting part of a baby’s development and growth. Why? It is because as the baby’s teeth grow, the more adventurous, smarter, and cuter they become. Just look at the pictures at the side. She’s smiling so cute with her few milk teeth. She is my daughter with nickname Baby Miray at 19 months. 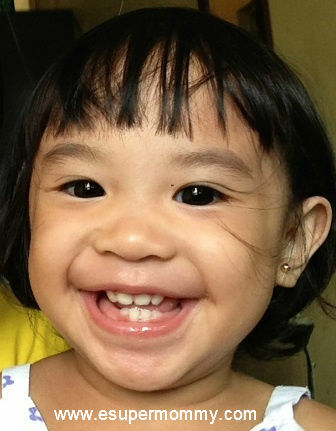 Her very first teeth started to develop at 6 months at the lower central incisors. Now eight teeth can be seen when she smile and I saw 2 more pairs when she open her mouth. Baby drool and I noticed a rash on her chin but it eventually disappeared after few days. There are times that baby is pulling her hair. Baby refuse to eat or drink at times. My baby experience a mild fever of 37.6 degrees Celsius. Baby Teething signs and symptoms are not all the same. If baby’s symptoms are severe better call or consult a doctor. 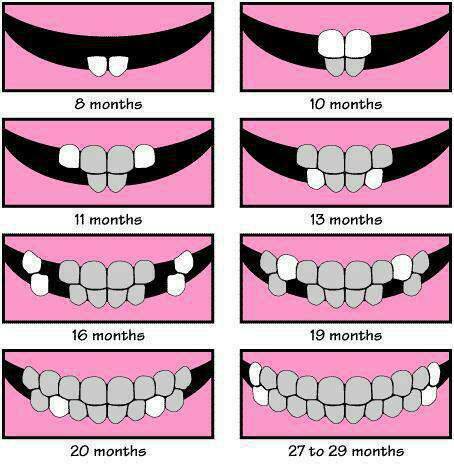 The infographic below very well illustrates the order of appearance of baby teething. 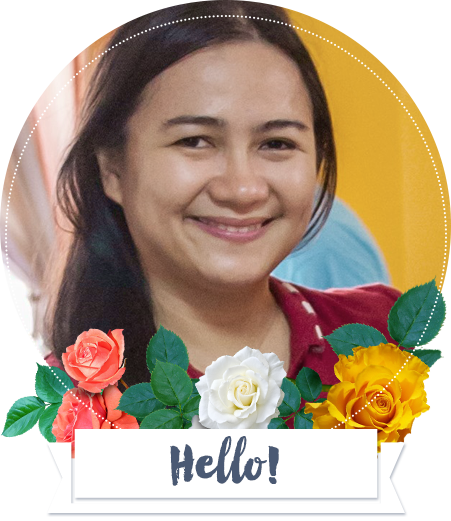 I got this infographic from my friend who is a dentist at Smile Central dental clinic when she posted this at her facebook wall. What comes first is usually the lower front teeth. Upper front teeth usually come in 1 to 2 months after the lower front teeth. This infographic can be a guide to parents like me to be more patient with my baby when she is experiencing baby teething signs. If the baby is teething, they may be fussier because of soreness and swelling in the gums before a tooth comes through. Use a cold teething ring or your clean fingers to gently rub on your baby’s gum. Use a teething remedy as advised by the doctor. In my case, my pediatrician recommends Xylogel for teething oral care. Keep your baby’s mouth clean and always wipe her mouth with clean towel when she drool. Always ask your doctor or pediatrician for assistance, recommendations, and prescriptions if needed. Thanks for sharing the infographic! Honestly, after the eight teeth, I lost count of the next few ones already. What I dislike about is the fever because of teething. I remember my son was teething so early at four months which is different with my youngest who started teething at 6 months. It is very exciting to see the first time it come out – they look so cute 🙂 . Yes, some baby are sensitive when they are teething and some seem nothing is happening and when you check their mouth there is already those little tiny teeth. My daughter is 8 month old and I’m soooo excited to see her 1st tooth. According to her pedia, medyo visible na daw yung sa lower front teeth nya and she also notice some signs of baby teething that’s why she recommends us to buy teething biscuit at Healthy Options. Naku, I still remember the time when my son was teething. He was really very cranky. Can’t really blame him though because of the symptoms that came with it. Yes, sometimes my baby is in bad mood and like pulling her hair.